Get bright eyed and bushy tailed in the mornings with Squirrel Girl! 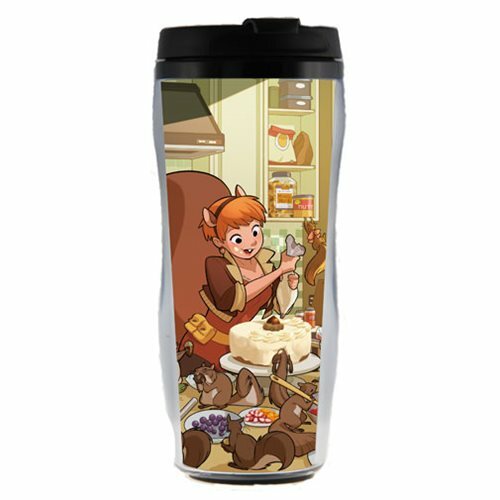 This Squirrel Girl Plastic Travel Cup features the popular character making a walnut cake with a bunch of her squirrely buds. Holds up to 16 ounces of liquid. Hand wash only. Not dishwasher safe. Do not microwave. Ages 13 and up.